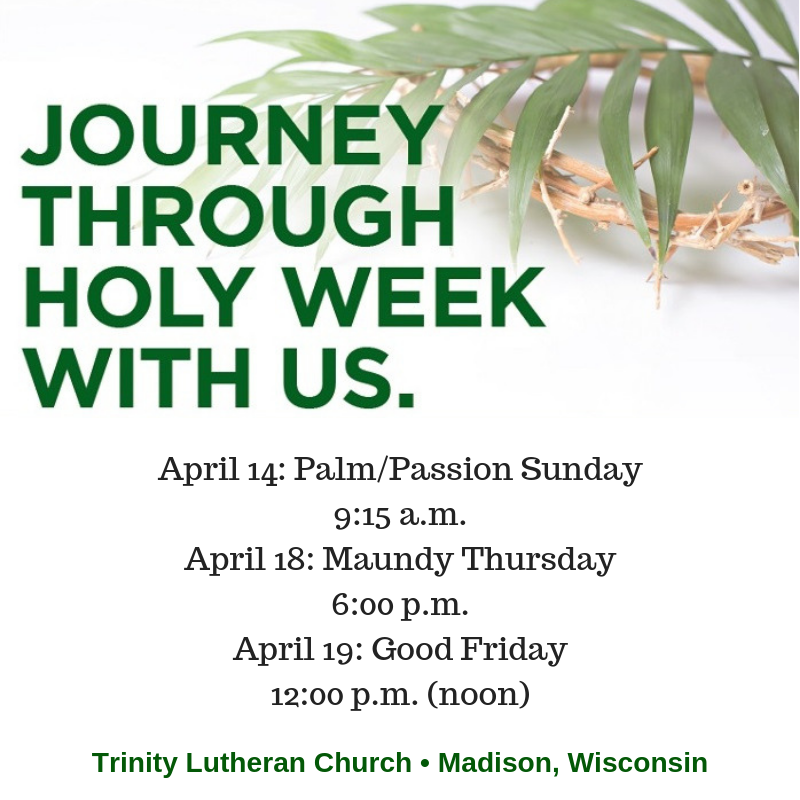 Holy Week 2019 | Trinity Lutheran Church ~ Madison, Wis.
April 14: Palm/Passion Sunday ~ 9:15 a.m.
April 18: Maundy Thursday ~ 6:00 p.m. This entry was posted in News, Seasonal Worship, Sunday Worship, Weekday Worship, Worship and tagged foot washing, Good Friday, Holy Week 2018, laying on of hands, Maundy Thursday, Palm Sunday, Passion Sunday, worship schedule. Bookmark the permalink.